Ref. 2508 ?Yellow Gold? Patek Philippe & Cie, Genève, No. 702785, case No. 677463, Ref. 2508. Made in 1953, sold on October 1st, 1954. 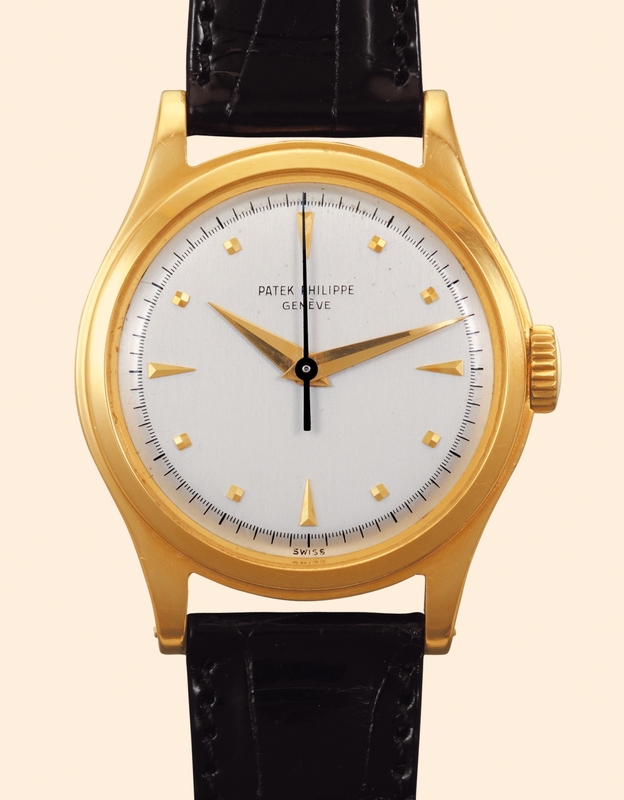 Very fine water-resistant, center-seconds, 18K yellow gold gentleman's wristwatch with a yellow gold-plated Patek Philippe buckle. Accompanied by the Extract from the Archives. C. Two-body, solid, polished, screwed-down case back, flat bezel, concave lugs, and dust protecting cap. D. Matte silver with applied yellow gold bâton and square indexes. Yellow gold "dauphine" hands, blued steel center-seconds hand.